Home / Football / The Giants best the Cowboys in season opener, 20-19. The Giants best the Cowboys in season opener, 20-19. 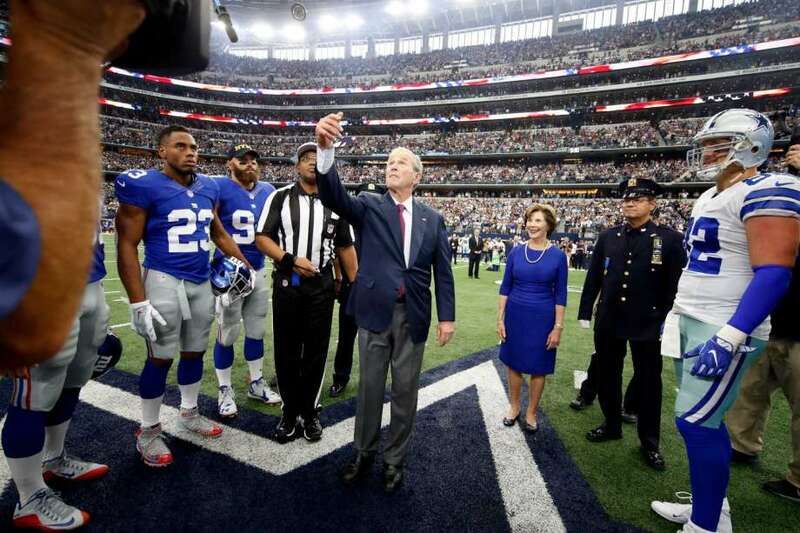 Sunday marked the ninth time the New York Giants have faced the Dallas Cowboys in a season opener. The Cowboys have dominated in those games, going 8-0 . The Giants came into Arlington with first year head coach Ben McAdoo looking to change that trend and kick off the 2016 campaign on the right foot. Early on, Dak Prescott and the Cowboy’s offense looked very strong. On the first drive Prescott and the Cowboys ate up almost eight and a half minutes of the clock while driving the ball 70 yards downfield on 15 plays, settling for a field goal. The Giants lucked out when Prescott’s pass to Cole Beasley inside the five yard line was dropped. Soon after that play Jonathan Casillas saved a touchdown when he tackled Ezekiel Elliott in the open field. The Cowboys dominated time of possession in the first quarter, holding onto the ball for 12 minutes and 32 seconds. Fortunately for the Giants they only put three points on the board. The Cowboys’ offensive line continued to provide Prescott with plenty of time in the pocket as their second possession continued. The Giants were again able to hold the Cowboys to just a field goal giving them a 6-0 lead with just over 11 minutes remaining in the first half. The Giants second drive was a different tale than their first series. In just 1 minute and 33 seconds the Giants drove 75 yards culminating in a 15 yard touchdown to Larry Donnell. On the scoring drive Sterling Shepard also caught his first NFL pass and superstar wide receiver Odell Beckham made a 45 yard reception down the left sideline. The Giants used the final four minutes of the half to recapture the lead, following a long drive from the Cowboys that ended with yet another field goal. The 12 play 75 yard Giants’ drive was capped with a 9 yard touchdown pass to rookie Sterling Shepard. Kicker, Randy Bullock would miss the extra point but the Giants would take a 13-9 lead into the locker room at the half. Despite the Cowboys dominating the Giants in time of possession, the Giants were efficient on their second and third drives which both led to touchdowns. The Giants’ offensive line were able to give Eli ample time in the pocket to find his receivers which was a good sign and something they’d look to replicate in the second half. The third quarter got off to an inauspicious start for the Giants as Eli Manning’s pass intended for Sterling Shepard was intercepted by Brandon Carr. The Cowboys capitalized on the turnover when rookie running back Ezekiel Elliott scored a touchdown, returning the lead to the Cowboys at 16-13. A short time later the Cowboys would tack on another field goal, to extend their lead. The cohesiveness that the Giants’ offense possessed in their final two drives of the first half seem to disappear in the second. They struggled to put together drives until the fourth quarter when Eli led them on a 9 play, 54 yard drive for his third touchdown pass of the day to the salsa dancing Victor Cruz. The celebration that Giants fans know from the popular wide receiver was back in full effect as Cruz celebrated the score. The three yard touchdown reception by Victor Cruz was a big moment for him as it’s the first time he’s played with his teammates in a regular season game since October 12th, 2014, when he suffered the torn patellar tendon injury against the Philadelphia Eagles. The score would give the Giants the 20-19 lead and that’s all they would need for the victory. To say it was a big win would almost be understating its significance. The Giants were far from perfect but their even attack (203 passing yds., 113 rushing yds.) was just enough to edge out Dallas for the win on the road. The running back by committee from last season was altered today as only Rashad Jennings and Shane Vereen split the carries. Rashad Jennings (18 carries, 75 yds, 4.2 yds/carry ) was efficient over the course of the game but especially on their final drive as he helped the Giants eat up the clock and give the Cowboys very little time to work with for their final drive of the day. The top three Giants wide receivers, Odell Beckham, Sterling Shepard, and Victor Cruz accounted for a total of 10 receptions and 150 yards on the day. Last season Eli Manning could only depend on Beckham at the wide receiver position. If Shepard can continue to develop and Cruz can stay healthy then Eli has three viable options every Sunday and the Giants passing attack has the potential to be very good. Next week the Giants play host to the New Orleans Saints at Met Life stadium. In their match up last season the Saints beat the Giants in a high scoring affair, 52-49. There seemed to be no defense played in that game as the Saints and Giants collectively gave up more than 1000 yards of total offense. This game should unfold in a strikingly different way as the Giants defense already seems much more capable. For now the Giants can briefly revel in their season opening victory before getting back to work this week as they prepare to contain Drew Brees and company.